Over 40% of Americans fear the dentist to some degree. Being a “dental chicken” is much more common than one would think. Fortunately, Dr. Roy has taken the necessary steps to become a leader in sedation dentistry here in Maine. He is certified in moderate sedation (only 3% of general dentists in the state have this distinction), which makes having a comfortable dental appointment entirely possible, even for those extreme “dental chickens.” Just see our sedation testimonial section for patients that have been helped successfully with sedation dentistry at Saco River Dentistry. Our skilled dental team are dedicated to putting you at ease while providing gentle, exceptional treatment. Our state-of-the-art techniques are designed to soothe nerves and minimize discomfort. We encourage you to discuss what elements of dentistry make you apprehensive, and our extensively trained cosmetic dentists will make every effort to enhance the experience for you. You can learn more about our sedation dentistry methods below, or you can give us a call to schedule a sedation consultation appointment. For individuals with significant dental anxiety, oral conscious sedation may be able to alleviate your fears. This method uses oral medication to place you in a sleep-like state; however, you can be easily roused for questions and simple requests. In the past, the only sedation available was administered by surgeons through the use of an IV. Today, it can be as simple as taking a pill. In addition, most people do not remember the procedure, and is often referred to as being “knocked-out,” but actually, it just appears that way as there is little to no memory of what happened during the appointment. Our team will review your level of anxiety, medical history, and other factors to determine the appropriate amount of medication to provide. You will also be carefully monitored throughout the treatment to ensure the highest levels of care, comfort, and safety possible. Once your treatment is complete, we will keep you comfortable in our office until some of the effects of the medication have subsided and to confirm there are no developing concerns. Even then, however, you will need a ride home as the medication may leave you a bit sleepy. Again, your care and comfort are our top priorities, and we will discuss the procedure with you in advance to ensure you have a full understanding of what to expect. What makes Saco River Dentistry different with Oral Conscious Sedation? Dr. Roy is one of the 3% of Maine general dentists who have a moderate sedation permit from the State of Maine Dental Board. As a result, he can customize a sedation plan through multiple medications in an effective yet safe manner. More commonly known as “laughing gas,” nitrous oxide is a type of sedation method that allows you to remain fully conscious and in control of your faculties while enhancing relaxation. This approach causes a temporary soporific effect that should quickly subside once you discontinue use. When you arrive and sit comfortably in one of our chairs, one of our skilled team members will place a small mask over your nose. Through this mask oxygen and nitrous oxide will begin to flow while you continue to breathe normally. You should primarily feel calm, but you may also feel extra cheerful or even giggly—thus the term “laughing gas.” Once the treatment is finished, we will remove the mask and within a few moments you should be able to return to routine activity. Dr. Roy has the training and experience to administer nitrous oxide in addition to other medications, which is what makes the difference between a negative and positive dental appointment. If you are over the age of 30 and you have dental fear, you probably had a negative experience with a dentist as a child. The previous generation of dental care was one that focused more on getting the procedure done and less on completing it with compassion and care for the patient in the chair. This is especially true for the “Baby Boomer” generation. Dentistry in the 1940s to the 1980s often left the patient feeling traumatized. The result is often severe dental disease, arising from years of dental neglect due to the fear created at an early age. There is no need for this to continue. 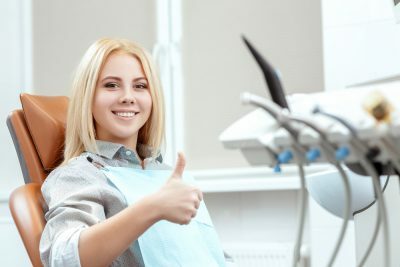 If you are a parent who wants to avoid having your child or grandchild to experience the same barbaric experience, or you still have a deep rooted personal fear that has yet to be resolved, Saco River Dentistry hopes to give you an experience that your parents never had—a good dental appointment! If you want to hear more about what we can do to help, give us a call and come in for a sedation consultation. And no need to worry, a consultation is just that: no needles, no pokey things, and no discomfort. It is simply a conversation to see how we can help you!